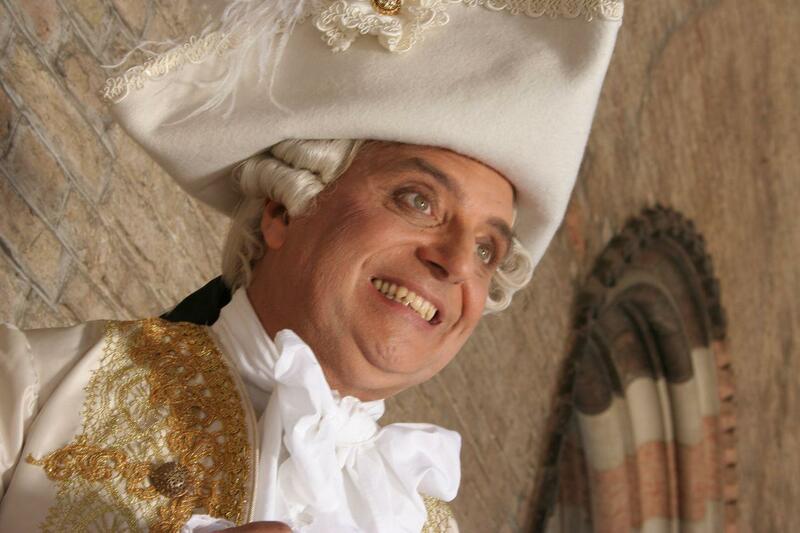 The movie “Carlo Goldoni – Venice Grand Theatre of the World” presented in pre-release at the 64th Venice Film Festival, was selected at the European Film Festival in Toronto (Canada), at the 27th FIFA, International Festival of Film on Arts in Montreal (Canada), and won the Gold Remi Award at the 42nd WorldFest in Houston, Texas (USA). Directed by Alessandro Bettero, the movie was produced by Amelia Fiorenzato for Vip Mediacom, a Film & Tv Production Company based in Venice (Italy) and in Los Angeles (California). Shot entirely in HD 1080 on location in Venice and France, ”Carlo Goldoni – Venice Grand Theatre of the World” re-enacts the magnificence and the splendour of the eighteenth-century Venice and Paris. Carlo Goldoni with his European theatrical reform was a forerunner of the French Revolution: he did away with the character masks of the ”Commedia dell’Arte” of the time and revealed the true faces and emotions of the middle class in the Age of Enlightenment. In those days Venice was at the centre of a clash between the tradition of the ”Commedia dell’Arte”, the works of Carlo Gozzi, and the new theatre of Carlo Goldoni, or the so-called “theatre of character”, which had done away with masks, improvisation, classical myths, the gods, heroes, stories of unreal or fantastic characters, in favour of characters taken from real life, such as the middle classes, merchants and commoners, brought on to the stage and made to speak the language of ordinary people. Goldoni’s reform provoked envy and rancour. And the conflicts that derived from these, often bitter, culminated on the occasion of the feast of Carnival of 1762: Goldoni’s last in Venice, before his departure for Paris, where he spent the last 31 years of his life. Alessandro Bettero’s movie pays choral homage to the glory of Venice and the theatre, of which the lagoon city, with its theatrical venues, was the undiscussed capital in the 18th century. The historical reconstruction has been carefully created, with original gondolas and carriages, as well as fascinating images of the age from the Minici-Zotti Collection. The docu-drama alternates between fictional scenes, scenes selected from present-day theatrical productions of Goldoni’s works, and interviews with renowned actors and stage directors such as Maurizio Scaparro, Luca Ronconi, Lluís Pasqual, Pierluigi Pizzi, Carmelo Alberti, Ferruccio Soleri (the most famous Harlequin of them all). The HD Camera will take us through Venice’s narrow streets and alleys, or “calli”, as they are called, across its homely squares, and explore the mystery of its maze of canals and innumerable old palaces and theatres. Period’s costumes will fill the scenes, as HD Quality brings the spectator fresh new panoramas of Venice and its lagoon, and ancient Paris, and these will dissolve into the timeless paintings of Canaletto, Longhi, Bella, Guardi, Tiepolo, to the music of Vivaldi, Galuppi, Corelli, Albinoni and Marcello.